Various organisations have paid tribute to Zondeni Veronica Sobukwe, who lost the battle against a long illness on Wednesday morning. Tributes have poured in for ‘mother of Azania’ Zondeni Veronica Sobukwe, who died in the early hours of this morning following a long illness. 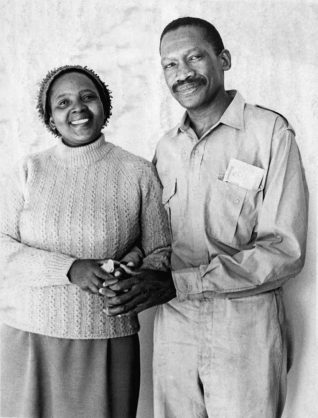 News of the passing of struggle icon Robert Sobukwe’s wife at the Midland Hospital in Graaff Reinet, Eastern Cape, broke on Wednesday following a more than three-week stay at the hospital. Economic Freedom Fighters spokesperson Mbuyiseni Ndlozi said Zondeni must tell Mangaliso Robert Sobukwe they shall be expropriating land without compensation for equal redistribution in South Africa. The Steve Biko Foundation also paid tribute to Sobukwe. With all that’s been happening in our country recently, perhaps this is a good time to remind the powers that be as to what it means to hold office & serve the people. It is with deep sadness that we wake up to the news of the passing of revolutionary human rights activist and anti-apartheid struggle stalwart Mam Zondeni Veronica Sobukwe. The Pan African Congress (PAC) made the announcement on Wednesday morning after her passing. PAC president Narius Moloto reportedly said the organisation would honour Zondeni’s contribution to the struggle. He said the PAC leadership was scheduled to meet later today to discuss a memorial service for the struggle icon. President Cyril Ramaphosa also sent out his condolences to the Sobukwes. Veronica was born on July 1927 in Hlobane, KwaZulu-Natal. She was a nurse who challenged unfair conduct. She met Robert during the apartheid struggle, and wed him in the 1950s. The nurse supported her husband throughout Robert’s incarceration when he handed himself over for arrest against the pass laws, where he was sentenced to three years. The apartheid government refused to release him after his jail term ended. The government then enacted a ‘Sobukwe Clause’, which allowed it to keep Sobukwe in jail for as a long as it wanted.